LONDON: 9 DECEMBER 2013 - ECR Minerals plc is pleased to advise that further to its announcement of 22 November 2013, the final condition for commencement of the Company’s earn-in to a 50% interest in the Itogon gold-silver project in the Philippines has now been satisfied. The condition was satisfied by the submission of certain documents to the Philippine Mines & Geosciences Bureau by Cordillera Tiger Gold Resources, Inc. (“Cordillera Tiger”), holder of the exploration permit (the “EP”) pertaining to the Itogon project. The EP was recently renewed for a period of two years from 1 October 2013, and exploration can now commence with ECR, through Cordillera Tiger, as the operator of the project. A programme of surface channel sampling is planned with the objective of verifying a selection of historical channel sample runs. Historical surface channel sampling results include 50m at 3.23g/t Au, 17m at 1.76g/t Au, 23m at 2.32g/t Au, and 40m at 1.68g/t Au. A programme of stream sediment and soil sampling is proposed to cover the entirety of the tenement outside the main prospect area, and is intended to help identify any extensions to the mineralised zone outlined by historical information and any other deposits that may exist within the tenement boundaries. The main prospect area covers only a small part of the total 330 hectare area of the EP. An exploratory tunnel into the lower part of the main prospect area is known to exist and may be of substantial length. It is planned that as far as possible this tunnel will be rehabilitated, mapped and sampled in order to provide additional information as to the continuity and tenor of gold and silver grades at depth. The verification channel sampling is expected to commence during December 2013 and to conclude during January 2014. The tenement wide stream sediment and soil sampling and the rehabilitation of the exploratory tunnel are planned to commence in February 2014. An extensive drilling programme has been designed for the Itogon project based on available historical information and site inspections, and is aimed at intersecting all the currently interpreted sub-parallel quartz vein structures across the width of the main prospect area, which is characterised by a prominent ridge trending approximately northwest. The ridge is bound by steeply incised tributaries of the Danglay River. The multiple sub-parallel veins strike along the ridge and have been mapped historically over a length of 450m, with vein outcrop mapped a further 150m down the ridge at the Danglay River valley floor. Historical sampling has identified significant gold-silver mineralisation in the veins as well as their alteration haloes, in intervening quartz veinlet stockworks and in the host rock. The veins are indicated to be steeply dipping and the width of the mineralised zone has been mapped historically at up to 250m. The drilling programme is aimed at establishing an open pit type resource along and below the ridge as well as seeking to identify high grade underground type ore enclosed within the lower grade ore. The situation of the deposit within the ridge is expected to prove favourable for either an open pit or underground mining scenario. The results of the full 3,850m drilling programme are intended to enable the completion of a resource estimate, which will be compliant with a Standard, as that term is defined in the AIM Rules for Companies. 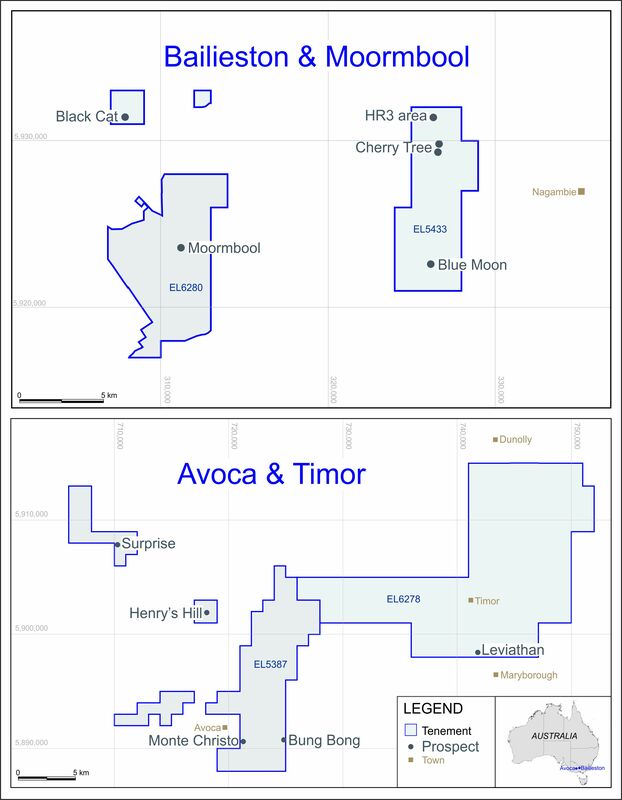 Drilling is expected to commence during the first quarter of 2014 and will primarily be by reverse circulation (RC) percussion with some diamond drilling. The proposed programme is composed of 23 angle holes up to 200m deep and on seven sections 50 to 80m apart along strike. Most of the planned holes are 150m deep and all are -60 degree inclination. An initial phase of 1,000m of drilling is planned ahead of a second phase of 2,850m, which will be subject to the results of the first phase. “Now that the earn-in has commenced a thorough appraisal of the Itogon project is planned, and it is hoped that completion of the programmes outlined will add significant value to ECR’s rights in respect of the project by confirming and building upon historical data and enabling an accurate, up to date picture of the project’s economic potential to be generated. The proposed drilling programme is intended to generate information as to the overall grade of the deposit, as well as to assess its cohesiveness and whether it can be mined in bulk, either by open pit or underground techniques, or as discrete higher grade zones mineable underground. ECR is a mineral development company with, among other interests, the right to earn a 50% interest in the Itogon gold-silver project in the Philippines. Itogon is an advanced exploration project located in a gold and copper mining district on the island of Luzon in the north of the Philippines, and benefits from an extensive historical dataset. ECR has a 100% interest in the Sierra de las Minas gold project in La Rioja Province, Argentina, the exploration strategy for which is to delineate multiple high grade, low tonnage deposits suitable for advancement to production on a relatively low capital, near term basis. ECR holds a substantial minority stake in THEMAC Resources Group Ltd (TSX-V: MAC), which is focused on the development of the Copper Flat copper-molybdenum-gold-silver porphyry project in New Mexico, USA. ECR has the exclusive right and option to earn a 50% interest in Cordillera Tiger and thereby in the Itogon project by obtaining, for Cordillera Tiger, a mining licence in respect of the project within five years of commencement of the earn-in and by making certain staged payments to Cordillera Tiger’s parent company Tiger International Resources, Inc. (“Tiger”). Under the terms of the earn-in, ECR will fund all expenditure required for Cordillera Tiger to obtain a mining licence, and through Cordillera Tiger, ECR will be the operator of the Itogon project during the earn-in. After a mining licence is obtained ECR and Tiger would fund development of the project pro rata, or the non-funding partner would be diluted. The exploration target in the Itogon project area is a wide epithermal style gold-silver system. At least five gold and silver bearing quartz veins have been mapped historically and are indicated to be continuous (especially the main vein) or semi continuous and steeply dipping (near vertical). The vein sets are recognised as occurring within a zone up to 250m wide and up to 600m long. There is an extensive database of previous work on the deposit, including the results of drilling, metallurgical testwork and surface sampling. The Philippines is a low cost operating environment with skilled labour and mining services readily available. The Itogon project area is in moderate to rugged terrain readily accessible from the city of Baguio via a combination of paved roads and unsealed vehicle tracks. The Baguio district has produced large quantities of gold and copper, and mining continues today. A technical report on the Itogon project filed by Tiger International Resources, Inc., dated 28 May 2011 and downloadable from the Canadian securities database SEDAR.com stated an overall resource target for the project “of the order of 0.5 to 1 million ounces of gold”. However, this is a statement of opinion rather than a resource estimate and should be considered highly speculative and subject to the results of future exploration. A more detailed summary of the attributes of the Itogon project and ECR’s rights thereto is provided in the Company’s announcement dated 29 April 2013. Historical exploration results referred to herein have not been verified by ECR and should not be relied upon. This announcement may include forward looking statements. Such statements may be subject to a number of known and unknown risks, uncertainties and other factors that could cause actual results or events to differ materially from current expectations. There can be no assurance that such statements will prove to be accurate and therefore actual results and future events could differ materially from those anticipated in such statements. Accordingly, readers should not place undue reliance on forward looking statements. Any forward looking statements contained herein speak only as of the date hereof (unless stated otherwise) and, except as may be required by applicable laws or regulations (including the AIM Rules for Companies), the Company disclaims any obligation to update or modify such forward looking statements as a result of new information, future events or for any other reason.